While speaking in News18 Agenda India Summit BJP President Amit Shah said scrapping Article 370 and Article 35A is BJP’s commitment since 1950. Shah added both the discriminatory Articles were not scrapped because BJP does not have the majority in Rajya Sabha and he believes that this will be done by 2020. The summit was attended by other leaders like Union minister Nirmala Sitharaman, CPI(M) leader Prakash Karat, and Opposition leaders Kapil Sibal and Manish Tewari among others. 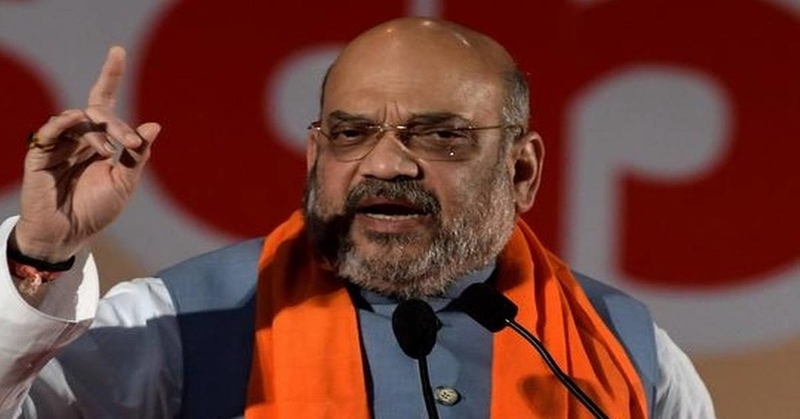 On the question of humanity, democracy, and Kashmiriyat, Shah said that the statements of both Narender Modi and Atal Bihar Vajpayee reflect the will of the Government. He said BJP thinks about the bright future of Kashmiri youths and peace is required in Kashmir for this purpose. But separatists and Pakistan inspired terrorist groups never let this happen. BJP government has taken strong steps in this direction. The government has stopped the foreign funds of separatists and banned their organizations. Jamaat-e-Islami and Jammu Kashmir Liberation Front (JKLF) are banned, security of separatists is withdrawn and many cases are reopened. In this government, strong steps are taken to stop the separatist’s mentality so that the Kashmiri youths are not misguided. He said, since 1990s the largest number of terrorists were neutralized by the NDA government in the last 5 years. He added the government dealt on three fronts: first to combat terrorism with weapons; second to crackdown on separatists to desist Kashmiri youths from going to the path of terrorism and; thirdly to isolate Pakistan at the global level through diplomacy. He said he believes that BJP has been successful in achieving this. The world has stood with India over its right to self-defence and the Balakot airstrikes. He said a narrative of fake ‘Hindu terrorism’ has been changed globally and now Pakistan is known as the hub of terrorism.